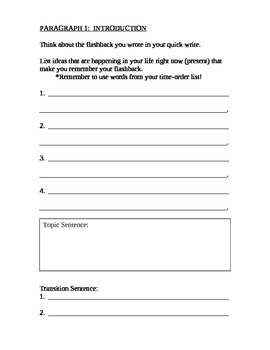 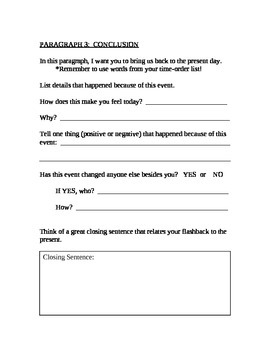 This is a graphic organizer for students to complete an essay on a flashback. 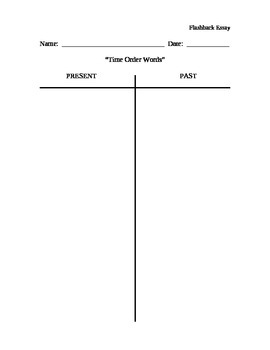 Students will first complete a chart of time order words for past and present to use in their writing. 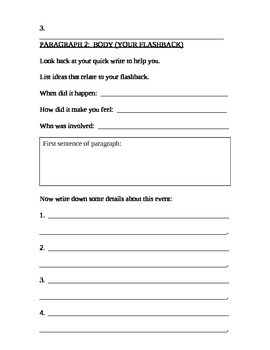 Three pages follow where students will fill in the graphic organizer for each of the three required paragraphs (intro, body, conclusion).